"They have told me that they are ready to relinquish many territories to Egypt for the continuation of friendly relations between the two parties,"
He added that he was able to show the real picture of the Sudanese authorities on the situation in Egypt. 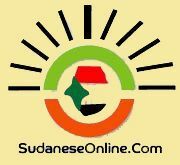 He denied in an interview with the program «360» broadcast on “Cairo and People “Channel reports indicated threats made by Sudanese authorities that they will sign Entebbe Convention, stressing that Sudan Government and people could not take any decision that would harm the interests of Egyptian people. He said that he has managed to eliminate consequences of Egypt’s media attack against Sudan’s president, Omer Al-Bashir, saying the relationship between the two countries are deeply rooted in the hearts of both sides.